"The Rocket-Dan vs. The Plasma-Dan" was unique in that it received an unusual amount of hype for what were basically a couple of regular TV episodes. 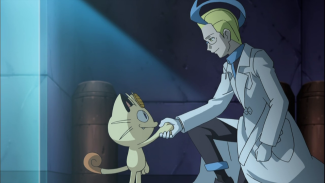 In addition to the fact that every Rocket trio scene from the seventh episode onward was leading up to this two-parter, the amount of publicity these episodes got ensured that we would notice their absence when they eventually ended up not airing. This page looks at the various ways in which this special was hyped beforehand as well as the fallout to the episodes being postponed afterward. After "Shippou City! The Great Adventure in the Museum!!" 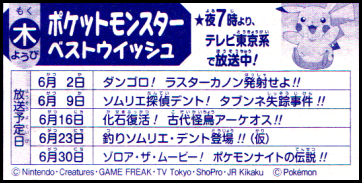 finished airing on December 23rd, 2010, TV-Tokyo showed a general preview for the batch of episodes that would be airing at the beginning of 2011. At the end of the preview, a few short scenes teasing the two-parter were shown. Click here to see a gallery of screenshots taken from the teaser. By this point, we didn't know what the episodes were going to be called or that it was even going to be a two-parter. All we knew was that the Meteonite plot was coming to its climax soon and that the Plasma-Dan were going to be involved somehow. A much longer trailer was broadcast after the hour-long Pocket Monsters Diamond & Pearl special "Hikari - A New Journey!" and "The Greatest Crisis in the Nibi Gym's History!" This 90 second trailer, which aired on February 3rd, 2011, revealed that Sakaki will be coming to the Isshu region in person. We also found out that both Araragi-Hakase and Handsome, the latter of which debuted in Diamond & Pearl, would play roles as well. 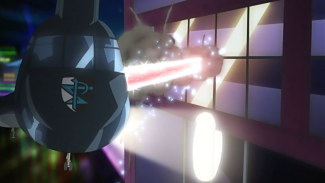 We also get to see extended looks of a number of the battles that were set to take place as well as a look at the property damage that was probably responsible for the episodes being pulled later. 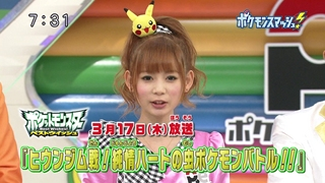 On February 18th, 2011, the sixteenth issue of Pokemon Fan went on sale in Japan. It devoted a full five and a half pages to the two-parter, basically taking over that issue's coverage of the TV series. Click here to see a gallery of scans taken from the magazine. The article does tell us that the Plasma-Dan are trying to steal the Meteonite from the Rocket-Dan and shows off a few new screenshots, but other than that it doesn't really tell us anything we didn't already know. It does, however, give us something we can hold in our hands that proves that, at one point in time, these episodes existed. The first episode title, "The Rocket-Dan vs. The Plasma-Dan! (Part One)," is announced. Unfortunately, I didn't buy the issue of Newtype at the time and therefore can't confirm the exact issue in which this announcement was made, but I can at least deduce that it came out sometime in late February. The 22nd episode of Pocket Monsters Best Wishes, "Hiun City! The Fushide Panic!," airs on TV-Tokyo. After the episode finishes, a preview for BW 023, the first episode of the skipped two-parter, airs. Remember that at this point, nobody had any idea about the tragedies that were about to strike and everything was going to go ahead as scheduled. Before this point, we had no idea that a Waruvil would even show up in the episode. The female avatar up there is Mackie (マッキー), the webmaster of the blog, while the male avatar represents some guy named Shimo-san (シモさん). Mackie says "Something terrible's happening in Hiun City that's connected to "The Rocket-Dan vs. The Plasma-Dan (Part One)" that's airing next week," and Shimo-san replies by saying "The serious story that's presented in Part One and Two will be sure to please you, so be sure to watch it!" The bottom of the blog entry now has a very similar blurb about the episodes' postponement as the one posted on TV-Tokyo's website a few days later. Less than 24 hours after the 22nd episode of Pocket Monsters Best Wishes aired, the Great East Japan Earthquake hits northeastern Japan. Over 15,000 people died, many of them children. TV stations across the country pre-empt all their programming to cover the disasters. The episode of Pokemon Smash! that was scheduled to air on March 13th was pre-empted by continuing coverage of the effects of the earthquake and tsunami, as well as the ongoing crisis at the Fukushima nuclear plant. This episode was listed in the TV guides as オー キド研究所！　全員集合！！ / ハンサム山本がメテオナイトをゲットするために出動、ビッグプロジェクト情報も / ポケモンBWのニューヨークでの最新映像, which all translates to (deep breath) "The Orchid Laboratory! Everyone Gather!" / Handsome Yamamoto sets out to get the Meteonite and information on the "big project" / The newest footage from Pokemon BW New York. Aside from the rerun that would have taken up the first half hour of the episode ("The Orchid Laboratory! Everyone Gather!" 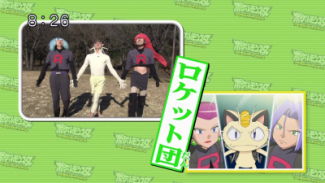 was dubbed as the Advanced Battle episode "The Right Place and the Right Mime"), this episode would have featured a preview of part one of "The Rocket-Dan vs. The Plasma-Dan" containing footage we had never seen before. Most of the segments from this unaired episode were eventually used in later weeks. The rerun of "The Orchid Laboratory! Everyone Gather!" 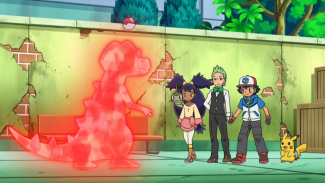 aired on the June 12th episode, the Handsome Yamamoto sets out to get the Meteonite and information on the "big project" aired as a flashback in the June 26th episode of Pokemon Smash, and the The newest footage from Pokemon BW New York aired in the April 3rd episode. The Meteonite stuff and some of the segues between segments are the only parts of this episode that never saw the light of day. "Due to some unfortunate circumstances, "The Rocket-Dan vs. the Plasma-Dan" episodes that were scheduled to air have been postponed. There are plans to look over the episodes and air them again at some point. We'll announce the new airdate on the home page as soon as it's been decided." As of this writing, this notice is still on the website. 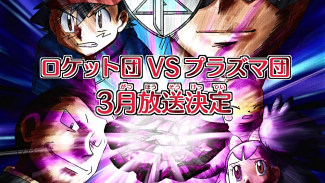 March 17th, 2011 - "The Hiun Gym Battle, the Pure Hearted Bug Pokemon Battle!" "The Hiun Gym Battle, the Pure Hearted Bug Pokemon Battle!" airs in place of the first part of the two-parter. No explanation is offered about the many, many plot holes left by the skipping of the episode. 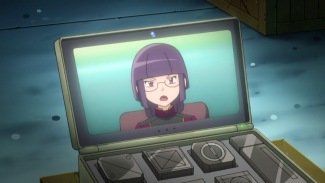 One episode, Satoshi and his friends are riding a helicopter toward the Desert Resort, and the next they're...back in Hiun City, ready to have a Gym Battle against Arti? And the Rocket-Dan are back to their white uniforms and are using their old Shin'ou motto music? What? The episodes of Pokemon Smash! that aired on April 10th, 2011 and April 17th, 2011 did something unusual; they reran episodes of the current TV series (Best Wishes!) mere weeks after they first premiered. For a show that usually doesn't rerun anything newer than Diamond & Pearl, this was pretty significant. 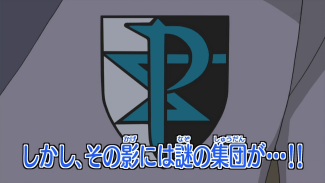 "The Hiun Gym Battle and the Pure Hearted Bug Pokemon Battle!," which originally aired on March 17th, reran on the April 10th episode of Pokemon Smash. The following week, "Beware of the Cute Face! Paralyzed by Emonga! !," which originally aired on March 24th, was rerun as well. 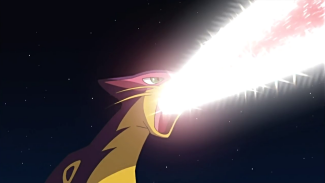 It was announced that the episodes were airing because some fans may have missed them the first time around. No additional details were given explaining why anyone would have missed those episodes, but it's pretty obvious why. Maybe they were living in temporary shelters then, or perhaps power had yet to be restored to their homes? I haven't heard of any additional edits being made to the episodes to help make the gaping hole caused by the absence of the two-parter less noticeable, so I'm assuming the episodes that aired on April 10th and 17th were identical to the ones that aired on March 17th and 24th, unexplained plot holes and all. May 5th, 2011 - "Ligrey and the Unidentified Flying Object!" 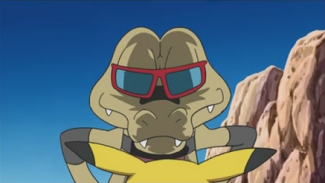 During the "Pokemon Live Caster" segment at the end of BW 030, "Ligrey and the Unidentified Flying Object!," footage of the Sunglasses Waruvil from the skipped two-parter is shown. This confirms that the Waruvil we saw on the official movie website back in March was, indeed, the sunglasses Waruvil. Japanese magazine TV-kun confirms that the third episode that was skipped because of the disasters, "The Fishing Sommelier Dent Enters!! ", will be airing on June 23rd, 2011. The edited title lets us know that Hiun City is being retconned into a random filler town so the episode will fit into a later point in the series. It's worth noting that nobody ever said anything about this episode airing before this; many assumed they weren't going to bother with it because it was just a filler. Meanwhile, we actually have gotten an official statement about "The Rocket-Dan vs. The Plasma-Dan" and are still waiting. Huh. June 25th, 2011 - "Battling For the Love of Bug-Types!" The American Cartoon Network's online schedule confirms that the English dub will be skipping "The Rocket-Dan vs. The Plasma-Dan" as well. No one is surprised. July 2nd, 2011 - "A Venipede Stampede!" "A Venipede Stampede!" premieres on Cartoon Network. 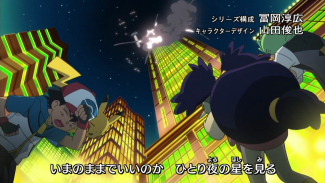 The ending of the episode is edited so that Ash and his friends stay behind while Professor Juniper and Officer Jenny go off to the Desert Resort alone. 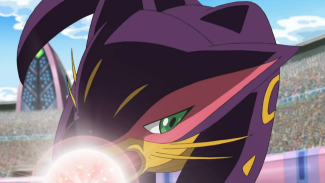 TV-Tokyo airs Pocket Monsters Diamond & Pearl - The Illusionary Conqueror, Zorro'ark without editing out any of the scenes of the destruction to Crown City. 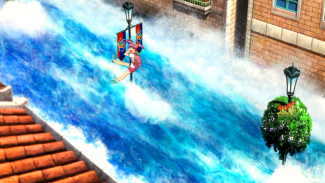 Everything, including Zorro'ark-Suicune's Surf attack washing through the streets and Zorro'ark-Entei's flames dancing through the city, was left as-is. Guess Japan doesn't really care about not showing the whole "city being destroyed" thing anymore, does it? The eighth DVD in Media Factory's rental-only series of DVDs for the series comes out. The DVD includes the episodes "The Sky Arrow Bridge and Gothilselle," "Hiun City! The Fushide Panic!," and "The Hiun Gym Battle, the Pure Hearted Bug Pokemon Battle!" The version of "Hiun City! The Fushide Panic!" on the DVD is the unedited one that aired on TV-Tokyo on March 10th, 2011. None of the changes that were made for the English dub were carried over to this DVD. The only difference is the "Next Episode" preview used; instead of airing the preview for "The Rocket-Dan vs. 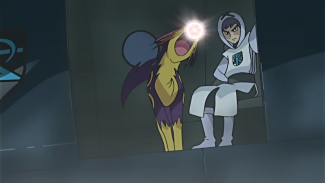 The Plasma-Dan (Part One)" like they did when the episode originally aired on TV-Tokyo, the DVD plays the unaired preview for "The Hiun Gym Battle, the Pure Hearted Bug Pokemon Battle!" I've uploaded the preview to my Dailymotion page, so check it out! Reportedly, cable networks BS Japan and Kids Station do not replace the preview for "The Rocket-Dan vs. The Plasma-Dan (Part One)" with the preview for "The Hiun Gym Battle, the Pure Hearted Bug Pokemon Battle!" that's present on this DVD even though it would make perfect sense for them to do so. Weird. February 2nd, 2012 - "Double Battle! Pikachu and Waruvil vs. Pendra and Gamageroge!!" 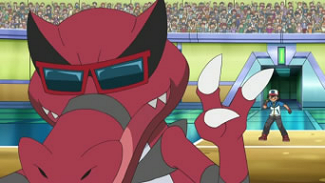 Satoshi captures the Sunglasses Waruvil in the episode "Double Battle! Pikachu and Waruvil vs. Pendra and Gamageroge!!" This is significant because we know that same pokemon appeared in the skipped two-parter as a wild pokemon, something that may cause problems for any future retcons. 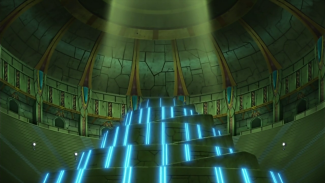 In the episode "Fierce Fighting at the Screw Mountain! Abagoura's Miracle!! (Part One)," Satoshi meets Seger-Hakase for the first time. 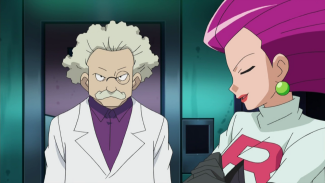 This is noteworthy because you'd think Satoshi would have met the professor back during the skipped two-parter. Not so, apparently! 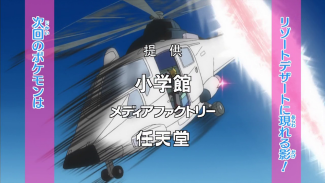 August 30th, 2012 - "Satoshi's, Iris', and Shooty's Final Battle!!" 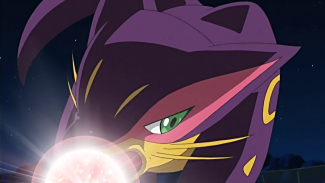 Satoshi's Waruvil evolves into Waruvial. So much for the sunglasses Waruvil showing up in the retconned version of this two-parter. 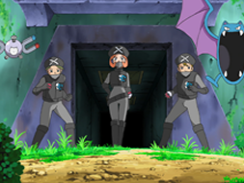 September 27th, 2012 - "Meloetta and the Undersea Temple!" Footage from the skipped Plasma-Dan two-parter showed up in this episode. 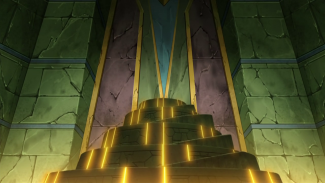 In the original, the Ancient Castle's ruins rose up to reveal the Meteonite; in the Undersea Temple, they rose up to reveal the Reflective Mirror. Click here to see a gallery of screenshots comparing the two. At least the animators have been able to salvage some of the footage from this two-parter. A tweet by Terasoma Masaki, the voice actor who played Handsome in Diamond & Pearl, tells us that his character is going to be appearing in the TV series again. 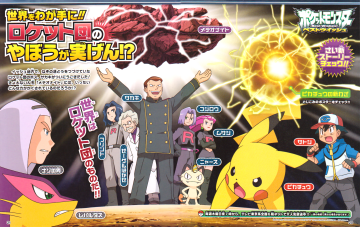 The text there says "My signature role in Pokemon, Handsome-san! He's going to appear again, so wait for it!" 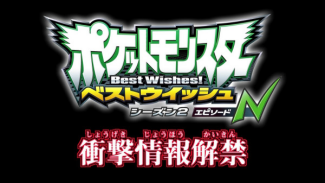 We'll find out later that Mr. Terasoma will be appearing early on in Episode N.
A teaser trailer for the ridiculously titled Pocket Monsters Best Wishes! Season 2 Episode N airs after the episode of Best Wishes! Season 2 that airs that night. This is the first time there's even a hint of N being in the series. And if N's going to show up in Best Wishes!, that means the Plasma-Dan can't be far behind, right? The first full trailer for Episode N airs after the Best Wishes! Season 2 episode that airs on December 6th. The screen at the end of the preview that tells us the name of the series features a Plasma grunt. On December 7th, the trading card game website updates with a few screenshots (which were cropped to 4:3 for some reason) from the upcoming series. So now we know that yes, the Plasma-Dan as a whole is going to show up in Episode N. Here's the catch, though; all the Plasma-Dan grunts we see are in their B2W2 uniforms, not the white hoods the grunts were wearing in the skipped two-parter. Another trailer for Episode N aired after the episode of Pokemon Smash! that aired on December 9th. 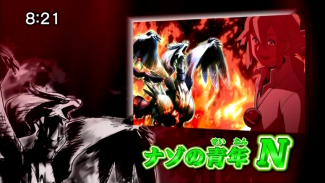 In this trailer, the narrator tells us that N has met Reshiram in the past, confirming that the Reshiram scenes we saw in the December 6th trailer were indeed a flashback. So, Plasma-Dan flashbacks, eh? You don't suppose they'd be willing to give us The Rocket-Dan vs. The Plasma-Dan as a flashback as well, maybe with Handsome narrating them or something? I mean sure, the fact that the people behind the TV series have had nearly two years to do that but haven't kind of makes it seem unlikely, but if there was ever a time to do it, now would be it. December 13th, 2012 - "Dageki Appears! Satoshi vs. Kenyan!!" During Satoshi's battle with Kenyan in the Isshu League Higaki Conference, footage from the skipped two-parter is again recycled, this time in the form of Kenyan's Leopardas. It's kind of funny how much this stands out, really. The animation for this little sequence here is way more detailed than the animation during the rest of the battle and would have stood out to me even if I didn't know the promos for the skipped two-parter like the back of my hand. Also, Leopardas also made its TV series debut in the episode before (BW 105 "Kibago Gets Lost!"). Had "The Rocket-Dan vs. 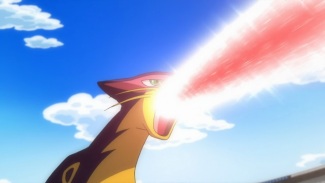 The Plasma-Dan" aired on time, however, those episodes would have served as the pokemon's debut instead. I guess a year and a half late is better than never, right? Shots from the skipped two-parter are on the top while shots from similar scenes in Yajirushi ni Natte! 2013 are at the bottom. So they basically reanimated scenes from the skipped two-parter and then put them into the third Best Wishes! opening theme. And it's not like there's any way the people in charge here didn't know we fans would pick up on this right away, either. This was deliberate. As we now know, of course, that the whole thing ended up being a giant tease and that they never actually had any intention of airing the two-parter. Thanks for needlessly getting our hopes up. The airing of "Achroma vs. Handsome! The Plasma-Dan's Dark Plot!!" confirmed something that I had kind of suspected for a while now - that "The Rocket-Dan vs. The Plasma-Dan" has officially been de-existed. For starters, Dent and Iris have no idea who Handsome is, something that wouldn't have been possible if the the events of the two-parter were still supposed to take place. Later, Handsome tells Satoshi and his friends about the Plasma-Dan, a group they already should have known about if the Resort Desert adventures took place. 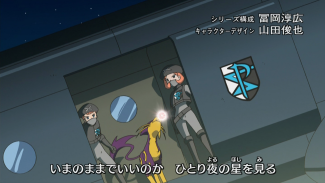 Finally, when the Rocket trio show up in Achroma's lab in the second half of the episode, nobody on either side makes any indication that the two organizations have ever butted heads before. None of what we had gotten up until now was solid proof that the two-parter had been officially written out of the show. For example, it seems weird that Satoshi didn't bring up this two-parter when he met Sakaki in Season 2 since they must have surely crossed paths back then, but it's not impossible that the two never met. Similarly, it's hard to imagine that our heroes wouldn't have actually met Seger-Hakase in "The Rocket-Dan vs. The Plasma-Dan" and therefore had to meet him at Spiral Mountain instead, but the chance is still there. Everything we had gotten up to now pointing toward a retcon was purely circumstantial. But what we get in "Achroma vs. Handsome! The Plasma-Dan's Dark Plot!!" could not have possibly happened if the two-parter was still supposed to have still occurred. There's just no way everyone would have been as clueless as they were in this episode if those events had happened unless, I dunno, the Ichimura Myuutwo showed up at the end and wiped everyone's memories clean for some reason. Which just doesn't seem very likely to me. It's now safe to say that "The Rocket-Dan vs. The Plasma-Dan" officially never happened. So...now what? February 21st, 2013 - "The Rocket-Dan vs. The Plasma-Dan! Nyasu and Achroma!!" TV-Tokyo's website announces a bunch of new episode titles, and one of them happens to be "The Rocket-Dan vs. The Plasma-Dan! Nyasu and Achroma!" The first half of the title is identical to that of the skipped two-parter, just like how, as mentioned earlier on this page, "The Fishing Sommelier Dent Enters!!" is almost identical to "Hiun City! The Fishing Sommelier Dent Enters!!" I also think it's worth nothing that the third series, Pocket Monsters Diamond & Pearl, had two episodes with very similar titles - DP 029, "Satoshi and Hikari! A Tag Battle is OK!?" and DP 147, "Satoshi and Hikari! A Tag Battle!!" - as well. So it's not like this sort of thing hasn't happened before. Unfortunately, the episode ended up having absolutely nothing to do with the two-parter whose title it blatantly ripped off. It was basically just Achroma trying to gain control of Nyasu while Satoshi and his friends deal with some seeds stuck up Charbu's nose. 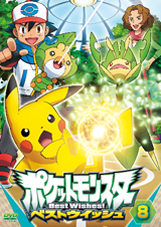 Both the April 2013 issue of CoroCoro Comics and TV-Tokyo's official website announces that the show will start a new storyline after Episode N wraps up. This new chapter, Pocket Monsters Best Wishes! 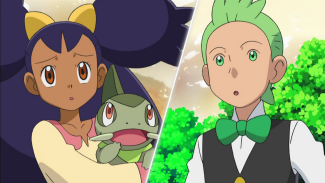 Season 2 Decolora Adventure, will chronicle the adventures of Satoshi, Iris, and Dent as they leave the Isshu region and head for Kanto. The chances of this two-parter ever airing just dropped to zero. 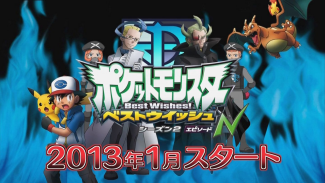 The final episode of Pocket Monsters Best Wishes!, titled "My Dream - Pokemon Master!! ", airs on TV-Tokyo. And with that the series comes to a close. With Pocket Monsters Best Wishes! now a thing of the past, there is absolutely no hope whatsoever that the skipped two-parter will ever air. The episodes being skipped was originally announced as being a mere postponement but it's obvious that somebody changed their mind at some point down the road and decided to just scrap them instead. It's unfortunate but at the end of the day it is what it is.